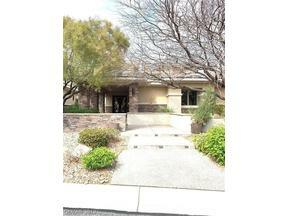 Located in Zip Code 89135 in Summerlin. The Ridges, developed by Howard Hughes Corporation is one of the most exclusive guard gated communities in the United States. Over 800 acres at the base of the Spring Mountains made up of seven different gated neighborhoods. Homes are built along the Bear’s Best Golf Course designed by Jack Nicklaus and many offer spectacular views of the Red Rock Mountains and the Las Vegas Strip. Beautiful parks, walking trails and bicycle paths are all at your fingertips. Both Custom and semi-custom homes are available. Membership to the 9,000 square-foot club is included in the HOA dues and features an outdoor pool, heated lap pool, fitness facility and lighted tennis courts. Close to shopping malls, houses of worship, medical facilities, good schools, and a variety of cultural activities, The Ridges has it all.